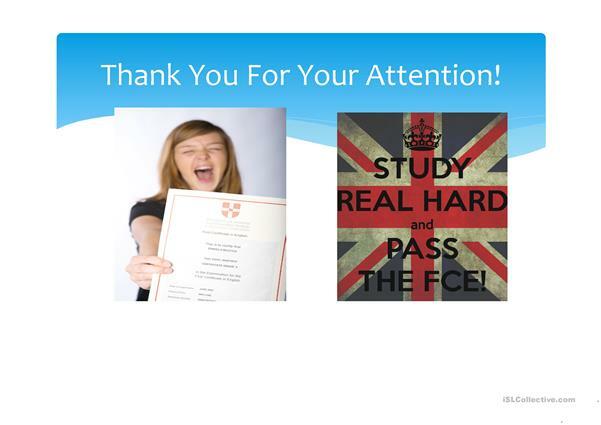 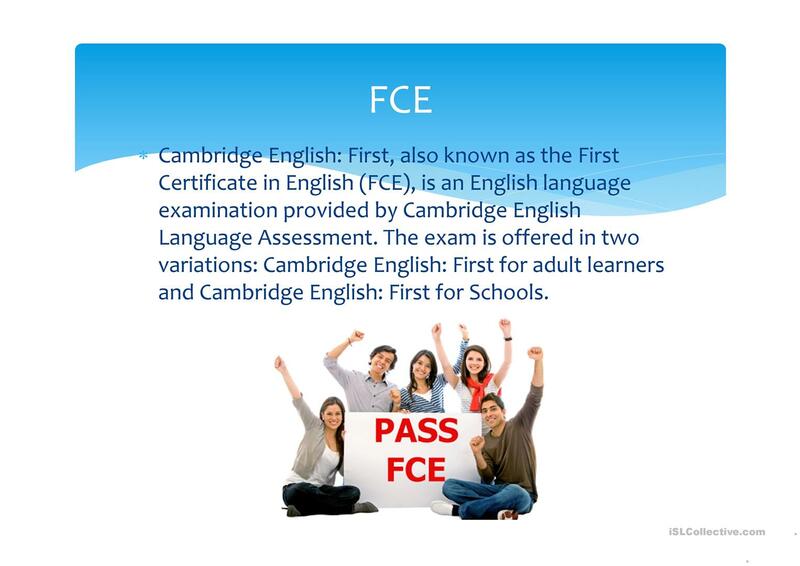 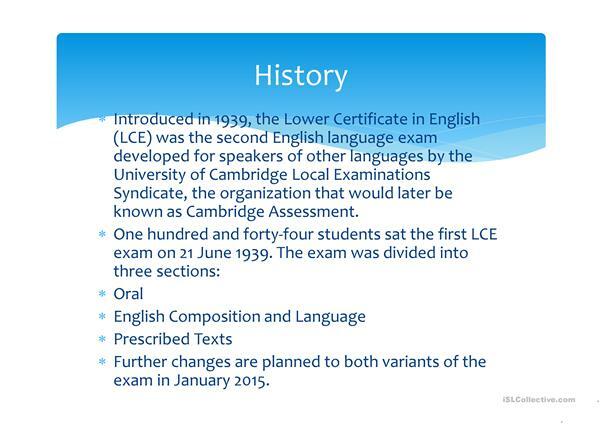 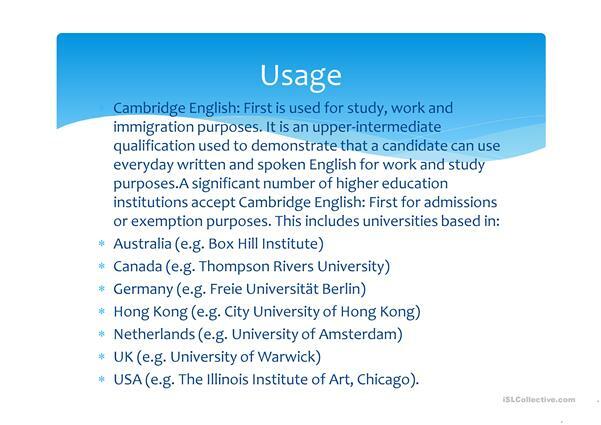 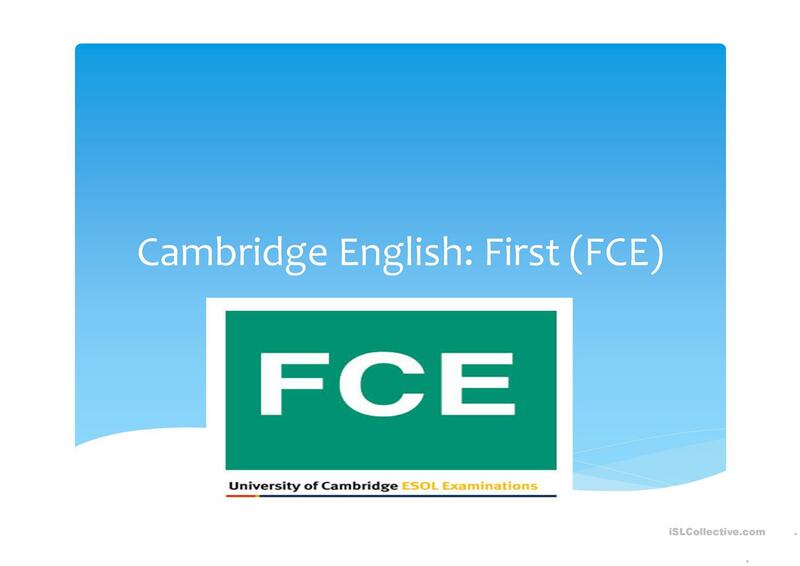 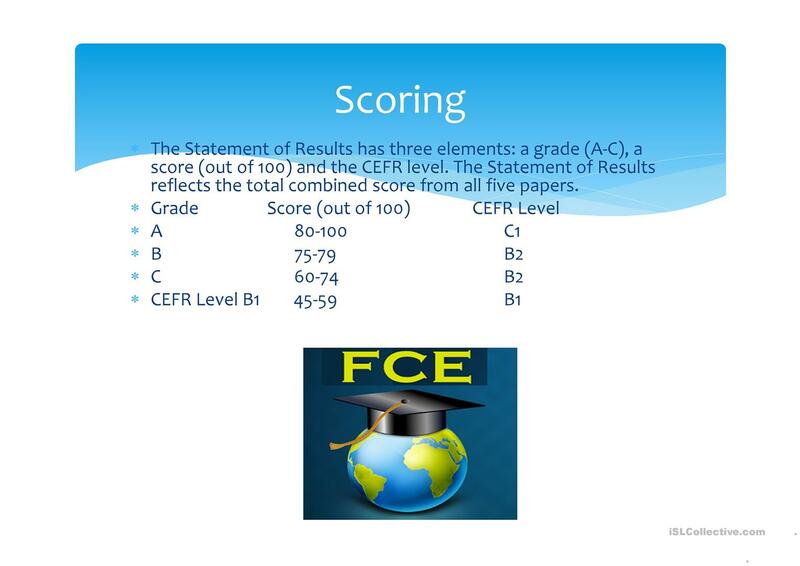 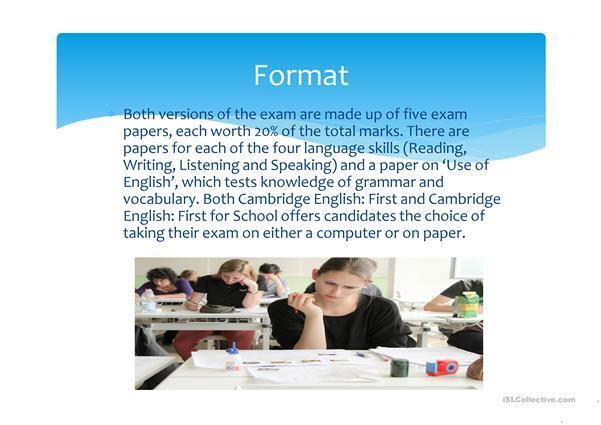 This ppt is a short description of passing FCE (the First Certificate in English).It can be useful when such themes as "Being a Student"or "Studying Abroad"are planned. The present downloadable printable was created for high school students and adults at Intermediate (B1) level. 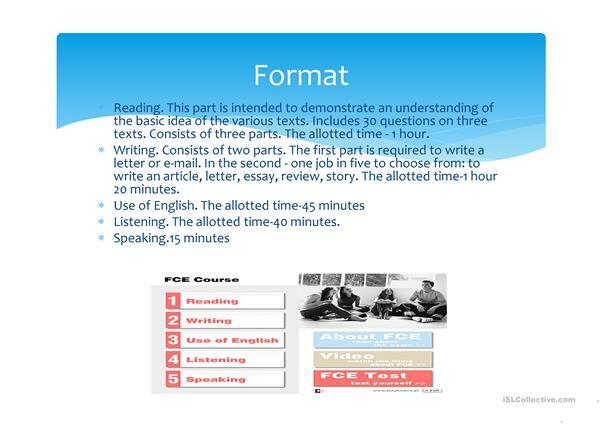 It was designed for improving your pupils' Speaking and Reading skills. It is about the theme of Learning languages.